to swallow the anchor… – when a skipper sells his boat and settles back on land. 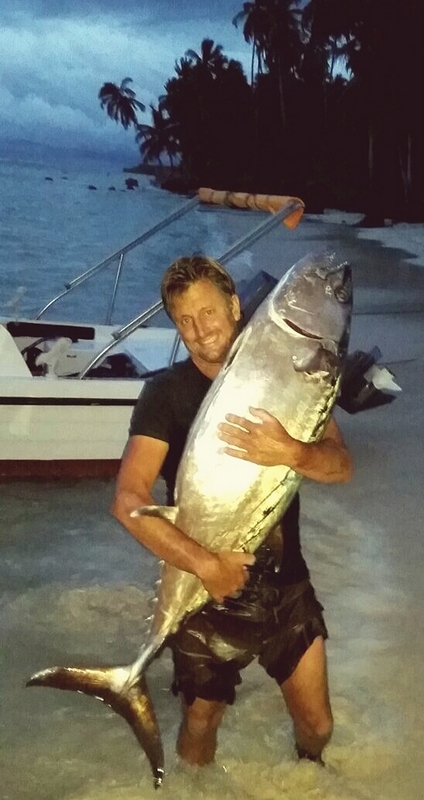 It was on his first Indo trip, when Gideon Malherbe fell in love with boats. It was the early nineties, and even though G-Land and Lagundri Bay were long discovered by the generation before him, there were a chain of islands off the Sumatran coast, begging to be explored. Sure, there were other Aussie skippers cruising around the mystery zone, but they weren’t giving up their secrets. And, this suited Gideon just fine. The early days of Mentawai’s surf exploration involved: sleeping on the deck of cockroach infested Indo fishing boats and getting the barrels of your life. Gideon began traveling with a roll of nautical charts, as this was often the only way to convince the local captains to take you into the unknown. 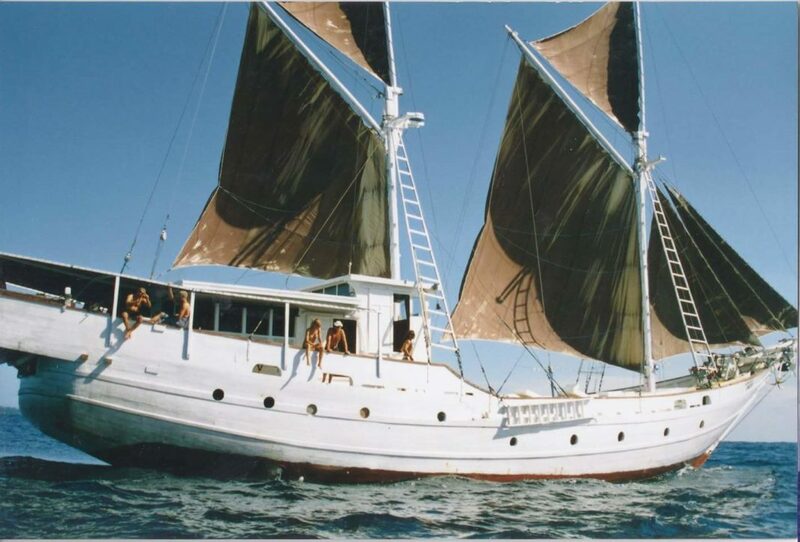 During the late 90’s a group of Gideon and his mates built the Indies Explorer in Sulawesi, and joined the small but growing Mentawai charter fleet. Apart from cruising around the Ments, they specialized in long range surf exploration, which took them beyond Nias and the Mentawai’s to places like Simuelue, Banyaks, South Sumtatra and Panaitain. After more than 75 charters and close on 10 years in Indo, Chantal (Gideon’s wife) and Gideon returned to South Africa to start a family. He started a small business building residential homes, and reluctantly settled into suburban life. By this stage, Gideon no longer had normal blood flowing in his veins. He had become obsessed with surf exploration, soaking up every second of his spare time poring over maps and the newly created Google Earth. He knew it would be hard to convince Chantal to head back into boat life, but when he floated the idea, she immediately agreed to sell everything they owned and buy a boat. Their son Indie was just a newborn and his other son, Josh was about to turn three. They bought an old catamaran off the internet and flew to Fort Lauderdale in the States where it was waiting for them. Gideon’s beautiful wife Chantal, in the early days of surf exploration in the Ments. Boats, and exploration entered their blood, and never left. “Sell up and sail,” is what it’s called. Three years later they docked in Brisbane, with a massive Pacific Ocean adventure in their rear view mirror. Indie was now 3, having spent his entire life out at sea. Josh was 6. With wobbly sea legs, they now found themselves having to go to school for the first time. Once again the Malherbes were land-locked; kids at school, homework assignments, parent/ teacher meetings; building deadlines and everything thing else which goes with adulting in suburbia. Gideon, turned his back on these ones, to send the kids to school in Brisbane. Soon after, and rightfully so, despair set in. Feeling trapped by the system, and unhappy. Another life changing decision was made to homeschool the boys and set sail again. 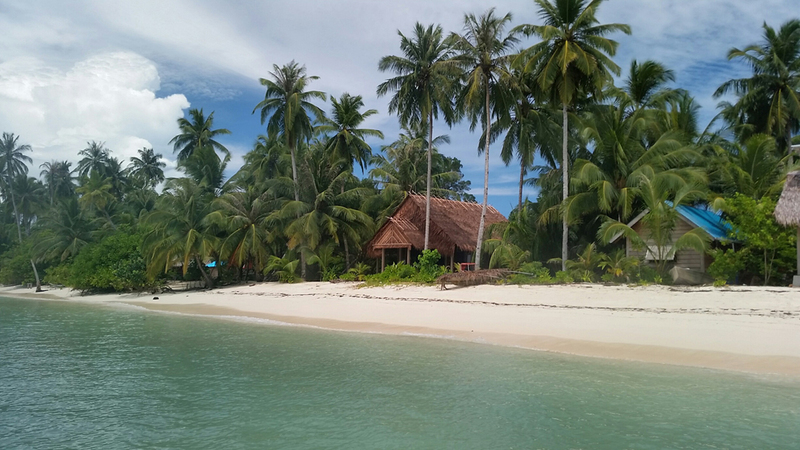 They sold their house (again) and bought a small mono-hull in Thailand, specifically so that they could go back to the Mentawai’s, where it all started 20 years earlier. 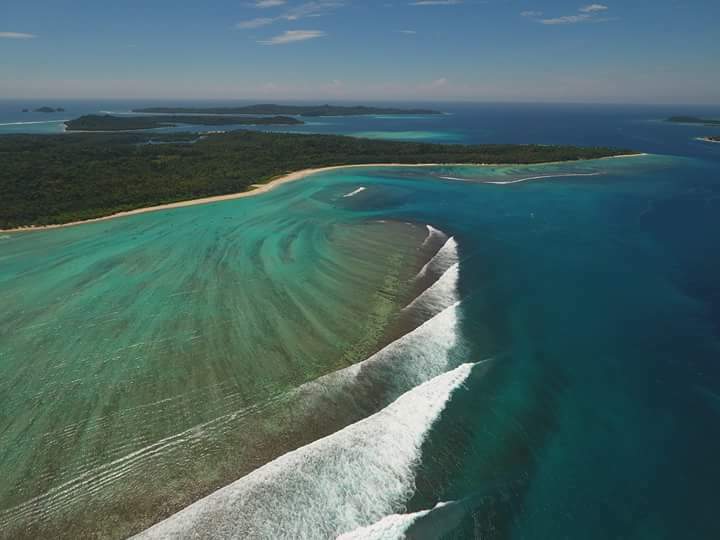 They fell in love with a particular part of the archipelago, and most nights would anchor in a protected spot behind a beautiful sandspit on the southern end of Awera Island. Josh and Indie. Living the perfect life. Because in the end they sold their boat, swallowed the anchor, and settled on that very sandspit. And here’s the funny thing about settling somewhere: Gideon came to realize that as a charter boat skipper he never intimately knew the area; all these little nooks which are slowly revealing themselves as they immerse themselves in their little slice of the planet. The little slice of sandspit the Malherbes now call home! 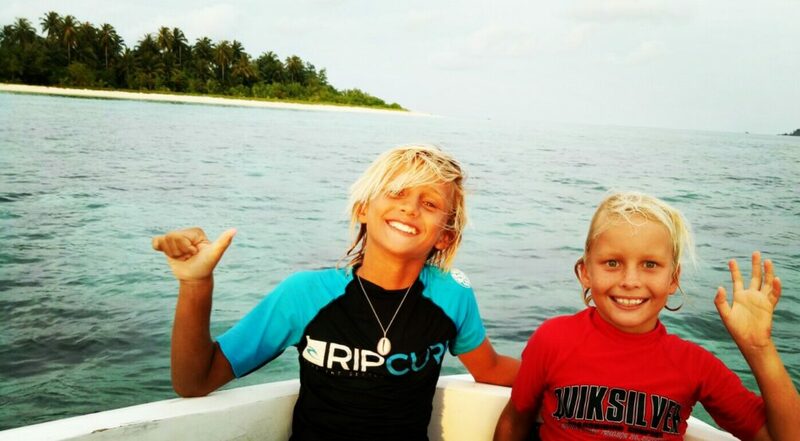 On a recent big swell, Gideon invited his good friend Grant “Twiggy” Baker along to surf his home patch. And looking at the photos of uncrowded bliss and bombs … we’d say it’s not a bad little slice of sandspit to swallow the anchor on! The Malherbe’s new backyard … not bad eh? Gideon surfing his perfect backyard … Swallowing the anchor ain’t so bad. The boys, Josh and Indie trading waves. Indie has spent 90% of his life living on a boat and an island surfing. Surfing Life are so envious right now!